For the record, the Hip Group, who owns the restaurant in which the alleged harassments were committed, is managed by Henry Glucina – twin brother of NZ Herald reporter Rachel Glucina who appears to have used unethical methods to obtain a interview from the victim. His actions commenced during election time last year, I can recall discussing it with regular customers at this time, as he was often a topic of their conversation. He was frequenting the cafe far more than ever before. It was election time and he was out showing his face, being seen. In the beginning, the first time he pulled on my hair, I remember thinking to myself he’s probably just trying to be playful and jolly, seeing as the general consensus of most who meet him is “he’s such a nice guy”. He’s trying to play into that to earn votes, I thought to myself. I didn’t respond positively to his ‘gesture’, in fact I didn’t address his behaviour at all, besides an unimpressed expression. Pulling someones hair is hardly an acceptable form of greeting. The next time he came up behind me and pulled my hair I was annoyed. Great, I thought, this wasn’t just a one off. Despite my obvious annoyance I didn’t comment on his behaviour. It then happened yet again when he next visited the cafe and again I didn’t respond verbally, but everything about my body language screamed I DON’T LIKE THAT. No one else had ever thought it was ok to walk into the cafe and pull the waitresses hair, so why did the Prime Minister think it was ok? My reasoning was simple, I could tell him that I didn’t like it – but I shouldn’t HAVE to. He was like the school yard bully tugging on the little girls’ hair trying to get a reaction, experiencing that feeling of power over her. I would think to myself, even a five year old could tell you that if you pull on a girls’ hair she will not like it, I shouldn’t have to tell THE PRIME MINISTER that I don’t like it when he pulls my hair – talk about stating the obvious! I began to avoid interacting with him where possible, if he entered when another staff member was also present I would promptly make myself busy somewhere else, I would ask someone to take the beverages or food to his table so I didn’t have to. I kept my distance when I could. It seemed as though the more I disliked it and made myself absent the more fun it became for him, the more he enjoyed the challenge of approaching from behind me, unsuspected. So the game continued. He would come up behind me when I was at the ordering terminal, tug on my hair and then pretend that his wife, Bronagh, had done it (much to her embarrassment), and she would tell him to stop it. As he rounded the corner behind me he commented “that’s a very tantalising ponytail”. On Saturday, 28th February (which I specifically recall as there was to be a protest outside his home the following day) he approached me from behind, security personnel by his side, as I stood with my back to him filling water glasses, and he pulled my hair before once again pointing the blame at Bronagh. I couldn’t believe it, he was still persisting and by now he had definitely got the message that I was not enjoying it – that seemed to be why he was enjoying it so damn much. It had really crossed the line by this point and I didn’t need to tell him to stop because now Bronagh herself was already telling him to stop what he was doing, and not for the first time I might add. I exclaimed “Really?! !”, to my manager beside me, and shot him a look of utter disbelief and frustration. What more could I do? How humiliating would it be to have to stand before the Prime Minister, his wife and security personnel and a handful of customers and say John, Mr Prime Minister, Sir, could you please stop tugging on my hair, I don’t like it, please stop, please… I felt I shouldn’t HAVE to do that. I certainly couldn’t reciprocate his actions, maybe see if he liked to have his hair pulled. Who would dare do that to a man with his own personal security? I told his security that I was sick of having my hair pulled and one day I’ll snap and i’ll punch him in the face. I hoped that maybe they’d tell him that enough’s enough and it’s time to draw it to an end. I posted on the National Party and the John Key Facebook pages a message along the lines of “Stop pulling my hair – I don’t like it!”. Maybe between social media and his security buddies and my body language and his wife’s advice he might finally get the message? The next time I saw him I managed to successfully avoid facing him throughout his visit, what a huge relief! Friday, 13th March, however, I wasn’t so lucky. I was stood at the main entrance to meet and greet customers, I saw his security personnel enter first and I quickly turned myself to place my back against the wall, then John entered. Despite my best efforts to avoid the situation, without literally running away, he just couldn’t help himself and still attempted, from directly in front of me, to reach around behind me in search of my hair, as he walked by. That was too much, even for me. I had remained professional for absolutely as long as I could and this time I put my hand out in front of me, a barrier between John and myself, and I said “No! NO! NO! NO! NO! NO!” as I wagged my finger at him and he reluctantly backed away. During this visit he said to my manager “she really doesn’t like me pulling her ponytail?” and she responded “well, …no!”. He then asked her my name and later, as he passed by me upon leaving, he spoke my name, just that one word, as if a duel like acknowledgement, a standoff. I thought to myself, ok, i’ve done it, I’ve made it blatantly clear, he knows, and he’s making a real scene now, repeatedly, in a busy cafe, that must be the end of it, surely. Thursday, 26 March, and once again he was at the cafe. I continued to keep my distance, dreading any unpleasantries. Unfortunately, I found myself at the door when it came time for him to leave, which meant, besides passing him, I had nowhere to go. As he approached me he thought it would be fitting to raise his hands high and make scary, suspense sound effects, like the music from the movie Jaws that we all know so well, and still gestured as if to reach behind me. As he towered overhead I slunk down, cringing, whilst Bronagh told him to “leave the poor girl alone”. I looked him in the eye and asked “is it self defence, with your security here, if I have to physically stop you from touching me?” and he countered, with a smile, “defence against what?”. He then changed the topic to the settling of his account and bid me politely farewell, but, as he motioned to leave and I turned towards the computer, he couldn’t resist that satisfying tug and once again he pulled my hair. As he made his way out the door I said after him “Please STOP or I will actually hit you soon!”. He’d made it clear that he just didn’t care. I had made a scene, I had told his security, his wife had told him, I was getting pretty close to physically stopping him given half the chance, and he still didn’t care. Everybody knew that I didn’t like it, I really didn’t like it. I felt powerless and tormented and I stepped out the back and I cried frustrated tears. A short while later he reappeared holding not one, but two bottles of JK 2012 PM’s Pinot Noir. He scurried over to me in the very centre of the cafe and hurriedly handed me the bottles, with big smiles, really big smiles, saying “this is for you, sorry, I didn’t realise.” Before I could say a word he’d already hightailed it out of there, the grinning assassin appearing as if he was the nice guy, whilst no doubt following someone else’s advice to contain the situation before it really got out of hand, and I pretty much felt like in my hands was a bribe. “I didn’t realise”. Really?! That was almost more offensive than the harassment itself. Saturday, 28th March, came and his security personnel were in for their morning coffee. Upon leaving one of them asked me “how was the wine?”, and I told him one of the things I wasn’t given the chance to tell John: “I don’t drink red wine.” What I didn’t tell him was that I only took the wine so I could photograph it as some form of evidence that all of this really did happen. I don’t even know if that was necessary in retrospect, word spreads, and even the local firefighters have asked me about what one of their guys saw. Other customers will sneak up behind me and say “Boo! Don’t worry, it’s not John Key!” or give my hair a gentle tug to see me panic and then say “I’m John Key”. John seemed to think that his job demanded less professionalism than that of a waitress, yet he’s the one that’s running our entire country. Unfortunately, when our poor country is left cringing, tormented, cowering in the corner, it can’t be fixed with a bottle of wine, and neither was this. I’m telling this story because I’m the only one who can and it seems he needs reminding that he’s not a god, he’s just a man. He’s doing a wonderful job of highlighting how backwards this country really is. Where else in the world do we find such informality of culture where a fifty something year old man can walk into a public place or someone’s work place and pull the hair of a girl half his age. Regardless of whether it was of a sign if ‘affection’, sexual, playful or bullying nature; imagine your dad in that same scene. Pawing at a much younger woman with your Mum in tow, where does it end? It is disturbing on every level and further sinks below gutter level with the added context that this is not just an average man on the street, this is the Prime Minister of New Zealand. Yes, the Prime Minister of lil’ole New Zealand, a country where egalitarianism and informality of culture are self-lauded; standards and boundaries are few and very seldom respected. 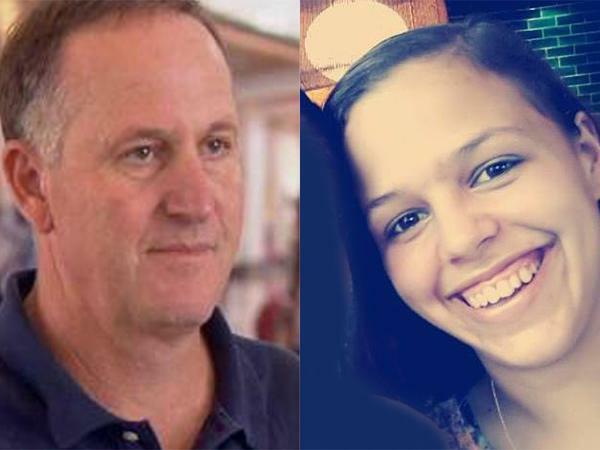 By New Zealand standards of manners and behavior John Key is a ‘gentleman’ ……. and this is the way he behaves? Gob-smacked much? 100% Pure embarrassment! What would prevent him from grabbing b***s or b******s the next time? Key’s behaviour is strange at best but I am astonished by how much attention this article is getting in the NZ media – is there nothing more important going on in the country? Your colleagues are never your friends. Ever. They cannot be. At best they’re neutrals and more likely they’re potential or actual enemies. So you treat them as a wise motorist treats every other driver on the road, as potential lunatics who will do you harm if you don’t drive defensively. In 30 years of working for multinational corps and governments I’ve learned: a) NEVER take more than two drinks on a social occasion involving workmates, and go home early before anyone else does b) NEVER discuss details of your personal life in the office c) NEVER impart potentially damaging personal information to colleagues d) Save every email in draft format for at least 10 minutes, ideally an hour, before hitting send e) You bring work home when you have a career, never when you have a job f) Record everything your manager says to you, including, documenting every request for action, starting with a repeat of your understanding of the request. The part about recording everything is something she should have done, and I hope she (along with other workers aware of abusive patrons/managers/politicians) does that from now on. Google is your friend, before talking to the media or others at length … FIND OUT THEIR AFFILIATIONS AND WHO THEY ARE. For a country that talks plenty about “only the US is full of lawsuits” … NZ is perfectly aware that many people can bring grievances about their treatment there … so they just keep saying that you have 0 recourse. My advice to the ‘anonymous waitress’, if she already hasn’t done so, is to engage a lawyer asap, there appears to be a lot of ‘a-covering’ going on. If the waitress’ account is accurate, what is most concerning is the time it took for the PM to get the message. Why didn’t a member of his entourage advise him that his behaviour was unacceptable, doesn’t the NZ PM have ‘minders’?